Lining your driveway from your entrance to your front door or garage with stylish lights helps guide you home and provides a warm welcome to visitors. Unsure what you are looking for? Shop by category by clicking on the images on this page or get in touch with us on 0345 605 2505. We are happy to help! 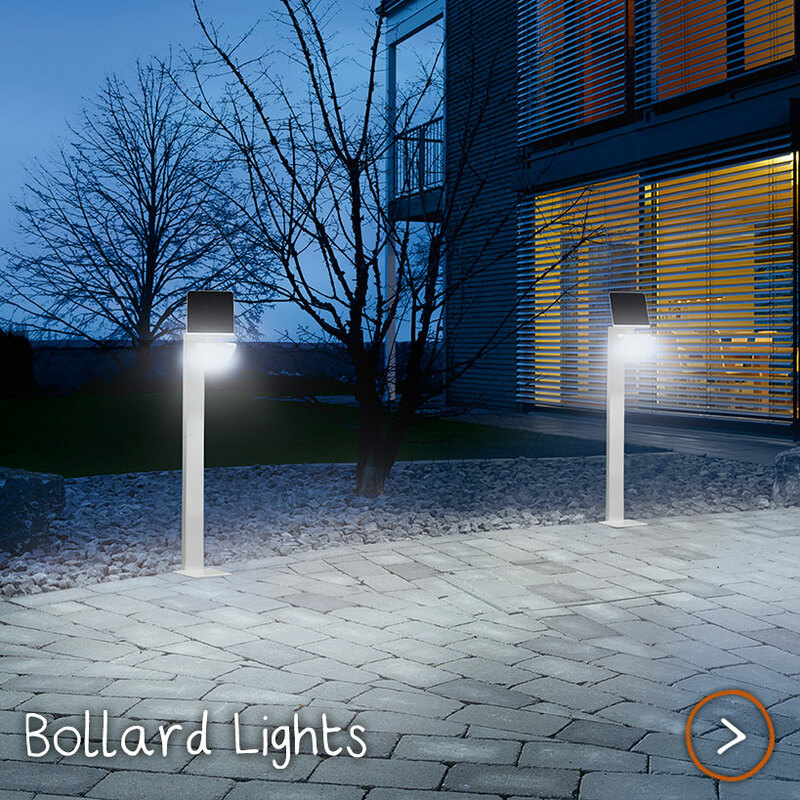 Outline your driveway with our selection of elegant and contemporary bollard lights. Our range features a variety of fittings to suit your personal style preferences. Choose from beautiful feature bollard lamps reminiscent of Scandinavian design or sleek, unassuming lights which will sit comfortably on any driveway. 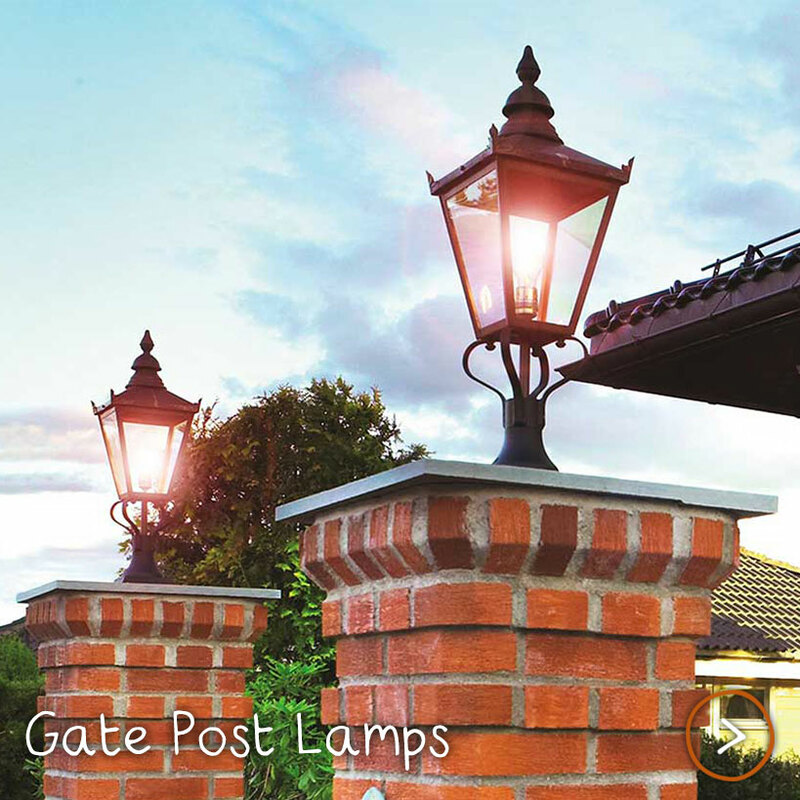 Make your home look truly outstanding and welcoming by illuminating your driveway gates with stylish gate post lights. Our collection includes practical and classic, traditional pedestal lamps for the top of your gate post and modern wall lights for the gate post front. 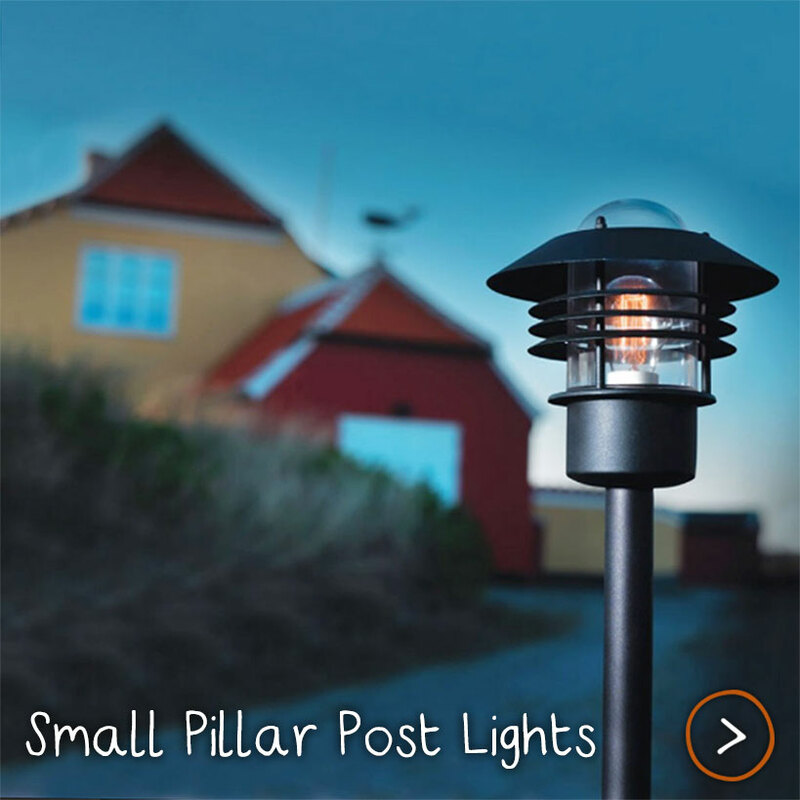 Subtly enhance your driveway with our small pillar or post lighting. 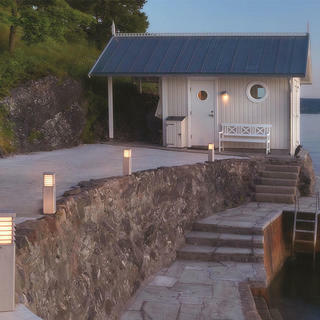 These lamps are ideal for making your driveway feel warm and inviting with a mid to low height illumination. We have many designs for you to choose from to suit any style of home, ranging from ornate post-lanterns, to traditional lamps, to slimline pillar lighting. These security lights only turn on when they detect movement, making sure that your home is safe and free from strangers lurking in dark corners! 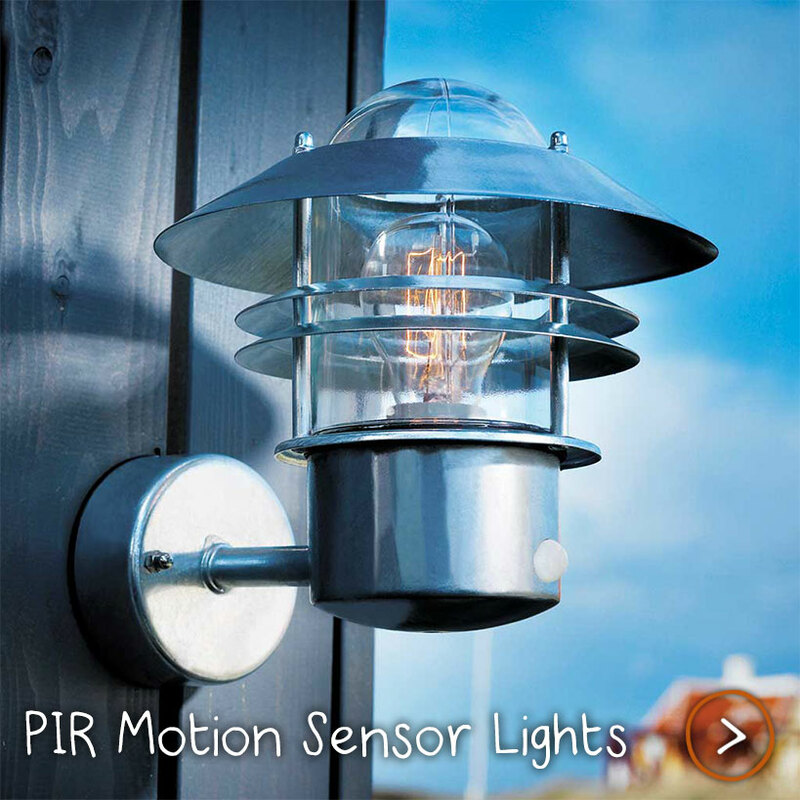 Most lighting can have a PIR (Passive Infra-Red) sensor wired into the circuit, however the PIR sensor lights in this category all feature an integrated PIR sensor. Floodlights are the perfect option if you are looking for lamps which are extra bright or if you have large driveway you need to illuminate. 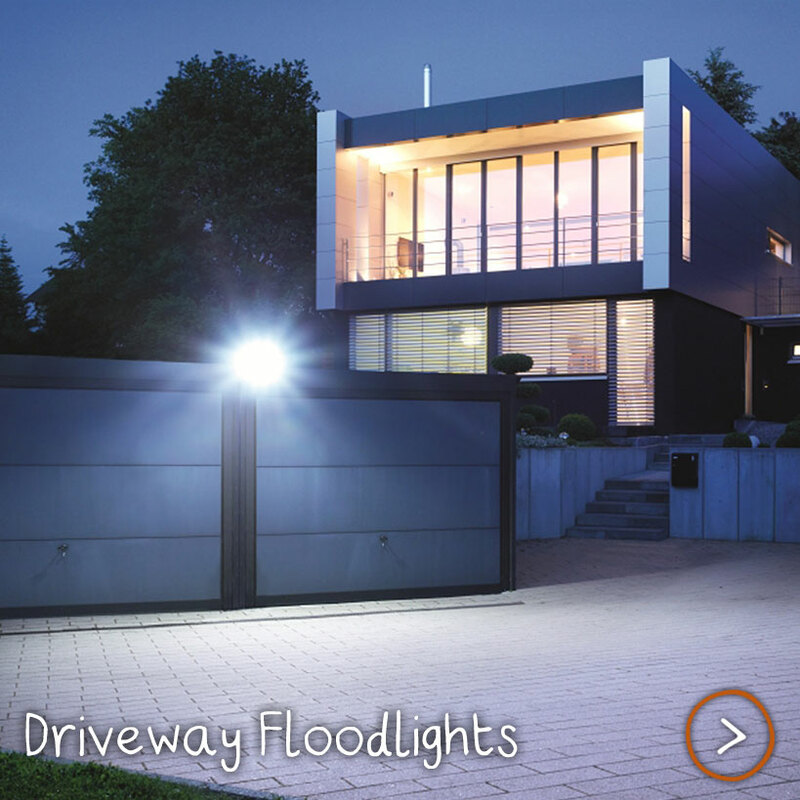 These floodlights provide a day bright light which will light up the dark corners of your outdoor space, helping you to see well while navigating your driveway.